Is the Kershaw Kurai Knife 3700 a gentlemans dress knife or an everyday carrying knife? 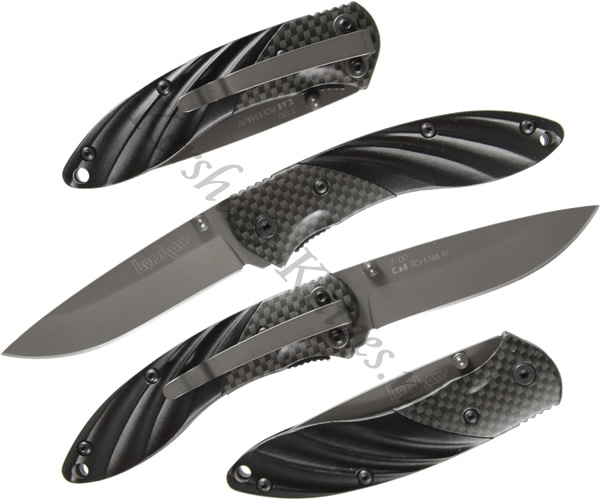 The patterned carbon-fiber and 3D sculpted aluminum handle certainly is stylish enough to be a dress knife. But, the highly functional 8Cr13MoV stainless steel blade with titanium carbo-nitride coating makes it a great knife for everyday carrying. Dual thumbstuds easily deploy the blade that is secured with a linerlock mechanism. So, dress knife, everyday carrying knife, or both? We will let you decide.